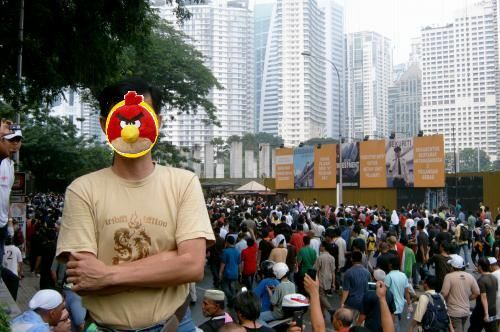 Why I participated Bersih 2.0 Rally? My daily on 9 July 2010. 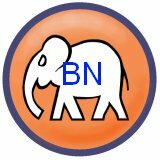 No repeat of Bersih 2.0, Nazri! Bersih 2.0 is not unlawful society, then those arrested by police for wearing Bersih 2.0 yellow shirt must be compensated for unlawful detention by BN government. Anyway, the decision is short-lived, UMNO appeal court will overturn such decision. KUALA LUMPUR, July 24 (Bernama) — The High Court today quashed the declaration of Home Minister Datuk Seri Hishammuddin Tun Hussein on July 1 last year declaring Bersih 2.0 an unlawful society. Justice Datuk Rohana Yusof said she allowed the petition by 14 members of the Bersih 2.0 steering committee, including Datuk S. Ambiga, to remove the minister’s order on the basis that Bersih 2.0 comprised a coalition of registered bodies. In her 30-page judgement, Rohana ruled that the decision to declare Bersih 2.0 unlawful was made without taking into account some relevant facts or by taking into account some irrelevant facts. “In my view, the decision is tainted with irrationality,” she said. Rohana pointed out that the reasons for issuing a declaration under Section 5 of the Societies Act 1966, as stated in the announcement by the minister (first respondent Hishammuddin), cannot change within days. “It would be unreasonable for a society to be found unlawful for serious reasons, like being used for a purpose prejudicial to public order and national security, on July 1, 2011, and then no longer so on July 5, 2011,” she said. On July 8 last year, Ambiga and the others sought a judicial review to remove Hishammuddin’s order declaring Bersih 2.0 an unlawful society. They named the Home Minister, the Inspector-General of Police and the government as the respondents. Other than an order of certiorari to remove the order, they had also sought a declaration that the order was null and void and of no effect. Rohana said that even if it can be said that Bersih 2.0 was a society that had been used for the purpose of being prejudicial to security before the order was made, it cannot be the case one week after that when such a reason was no longer valid or applicable. Rohana said the court had also taken judicial notice of the minister’s (Hishammuddin’s) public statement to allow the Bersih 3.0 rally on April 28 this year subject to terms imposed by the authorities. She stressed further that the decision to outlaw Bersih 2.0 impinged on the rights guaranteed under the Federal Constitution and should not be taken in just a lackadaisical manner. Furthermore, she said, in fact no action had been taken under the Societies Act against the applicants even though they took part in the rally after the minister’s declaration. 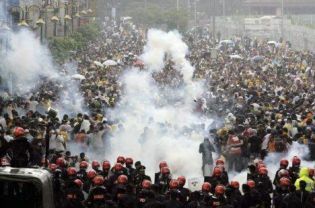 “In short, Bersih 2.0 cannot be a society used for purposes detrimental to security on July 1, 2011, then no longer so a week after that. Even if that was so, then the declaration should be lifted accordingly,” said Rohana. Senior Federal Counsel Azizan Md Arshad said he needed to study the written judgement first before seeking further directive from the Attorney-General’s Office. Meanwhile, the applicants’ co-counsel, K. Shanmuga, told reporters that with the court decision, Bersih 2.0 was no more an unlawful society.